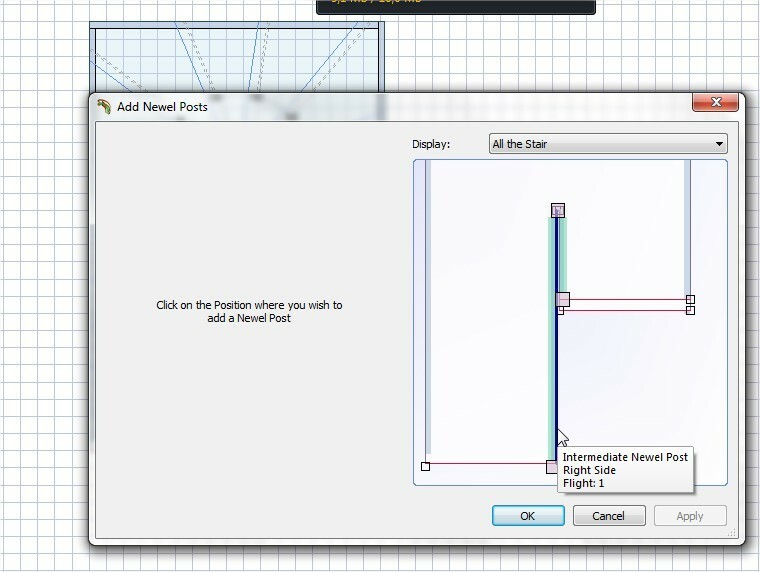 you have to right click to add a newel and position your marker where you need the newel to be approximately. It will be added as a intermediate post. After it is added you can remove the first newel and position your new newel more correctly by change the absolute value. How do you add the newel post in at the second step, instead of the first step.